Copied from a tomb effigy, this type of chain was popular throughout the fifteenth and sixteenth century. 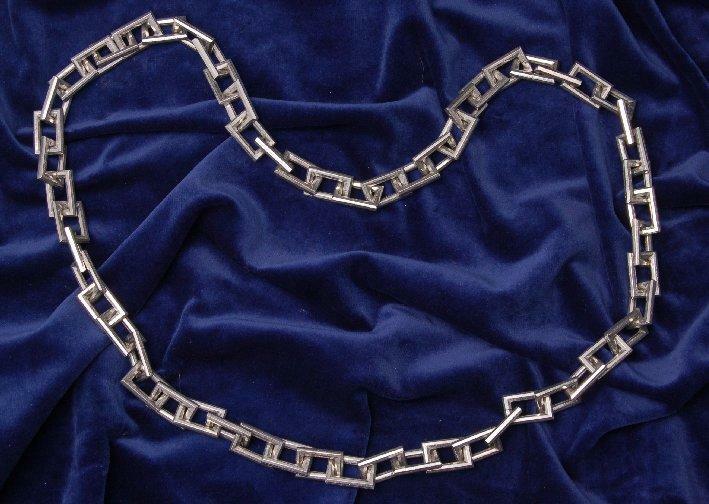 Made of rectangular links in polished pewter, this chain measures 0ne metre or 39 inches. Worn as a sign of wealth, there is no religious or political affiliation.